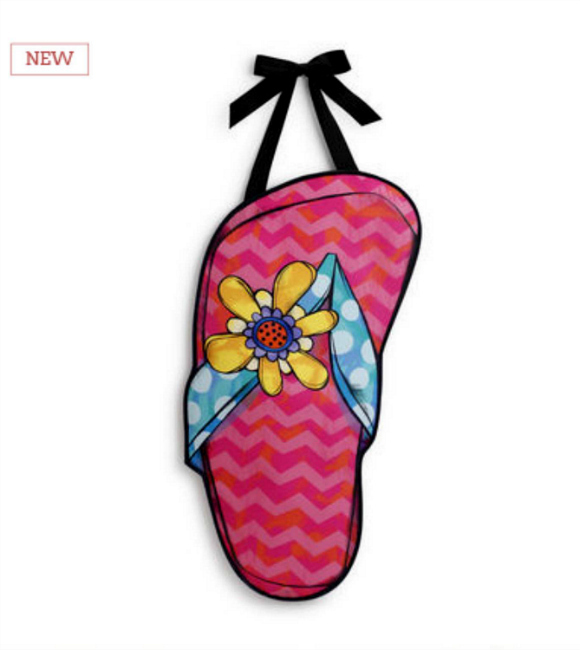 Flip Flop Banner for Door or Wall by Tra La-la! Artist Tracy Pesche of Silvestri from DEMDACO. Made of Canvas and Felt with Grosgrain Ribbon as Hanger. 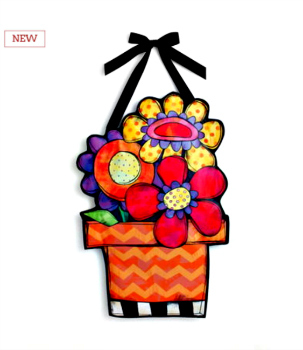 Measures 17"W x 32"H. Great Summer Fun for your Door or Wall!